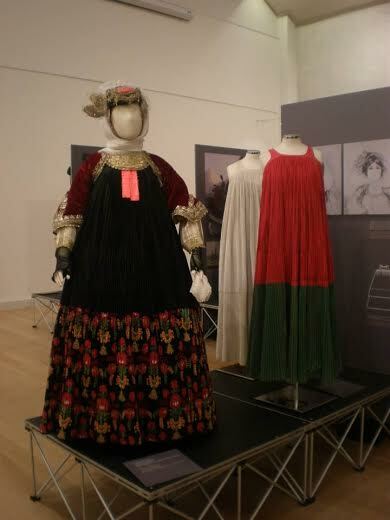 Abundant in local variety, rich in embroidered and woven decoration and monumental in its completed ensemble, Greek traditional women’s dress has few equals in other countries and there are just a few more days to enjoy them in London. Over the last few weeks the city has been treated to over splendid original examples of this dress in the exhibition, “Patterns of Magnificence: Tradition and Reinvention in Greek Women’s Costume”. Hosted by London’s Hellenic Centre highlights include the richly embroidered costume from Astypalaia in the Dodecanese, the astonishing assembly of fabrics, colours and jewellery from Stefanoviki in Thessaly, the superbly brocaded dress from Jannina in Epirus, women’s costumes from the island of Sifnos and two embroidered church vestments made from 18th century Cretan dresses. The exhibition also illustrates the interplay of native tradition and western aesthetic by displaying the court dress of the first Queen of the independent Greek state (1833-1863), Amalia of Oldenburg and that of her successor at the end of the nineteenth century, Queen Olga, the Russian-born consort of King George I. 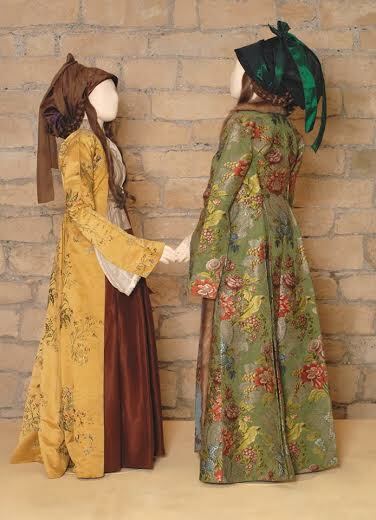 These splendid costumes represent a synthesis that is emblematic of nineteenth-century nation building. 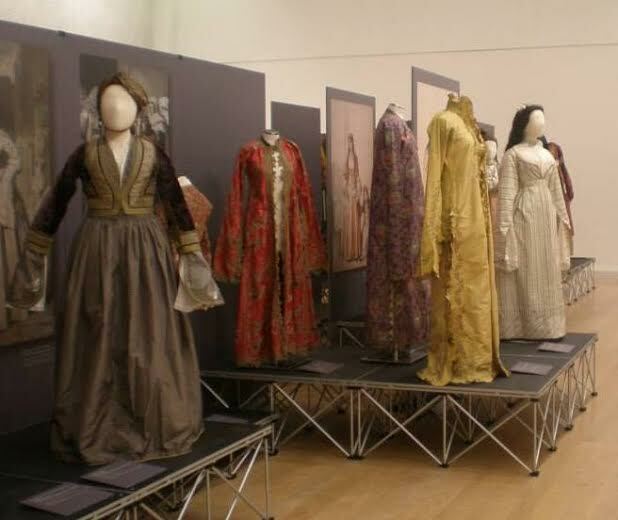 All but two of the costumes come from the superb collection of the Peloponnesian Folklore Foundation in Nafplio. The other two are being lent by The Benaki Museum of Athens and the dolls by the Lyceum Club of Greek Women, Athens. The curator of the exhibition is the Foundation’s director and renowned expert, Ioanna Papantoniou and the exhibition has been designed by Stamatis Zannos. In response to the exhibition the British Museum is showing textiles from its permanent collection. These are exhibited in the Parthenon Galleries where in the frieze Athena’s invention of weaving is famously celebrated. A fully illustrated catalogue with 10 essays by specialists in the field alongside catalogue entries and images for each costume is available so even if you are not able to make it to the exhibition you still have the chance to appreciate the splendour and intricacy of these costumes. In June the exhibition will be shown at the Foundation of the Hellenic World in Athens and in October at the Leventis Municipal Museum in Nicosia. Exhibition closes Sunday 2 March. Exhibition website http://patternsofmagnificence.org/. If you miss this exhibition in London it is touring to Athens and Cyprus later this year so you do not need to miss out! 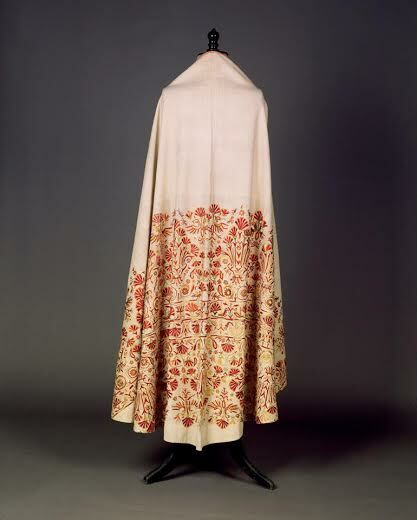 Phelonion made of a linen-cotton fabric, with multicoloured silk embroidery An 18th -century Cretan dress remade as a church vestment Crete.